“In our program, we preach family first, so it’s important that she knows as a basketball team, she knows that we are family,” said coach Taneisha Rogers. The donations were collected by helpers from the Cy Springs basketball boys team, as well as, female basketball players from Cy Creek. All proceeds go to Big Love Cancer, an organization which provides personalized care to children with cancer as well as their families. "It is important to help because if you were in the situation you would want someone to do the same for you," said boys varsity point guard Cameron Scott. 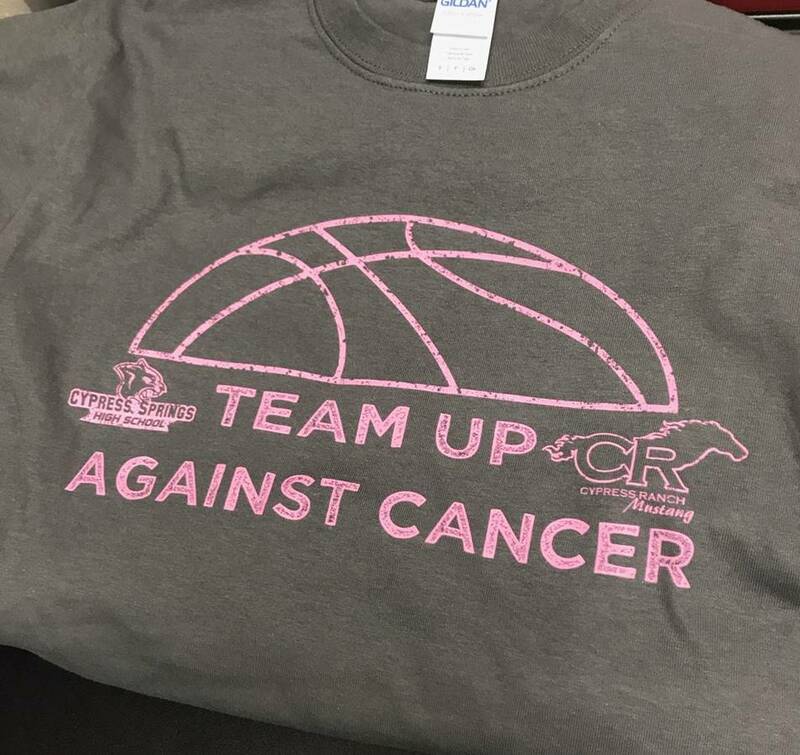 The game ended up being a win for Cy Ranch with a score of 50-25, but shirts are still for sale at $10 with all proceeds going to the Texas Children’s Pediatric Cancer Center.